TUCSON, Ariz., and FREDONIA, Ariz. (22 April 2015) – Efforts to preserve dark night skies for the benefit of future generations often begin with small groups of committed individuals. For nearly fifteen years, the International Dark-Sky Association has recognized these efforts around the world, but never before has an entire group of ethnically and linguistically related people come together to collectively embrace dark-skies principles. 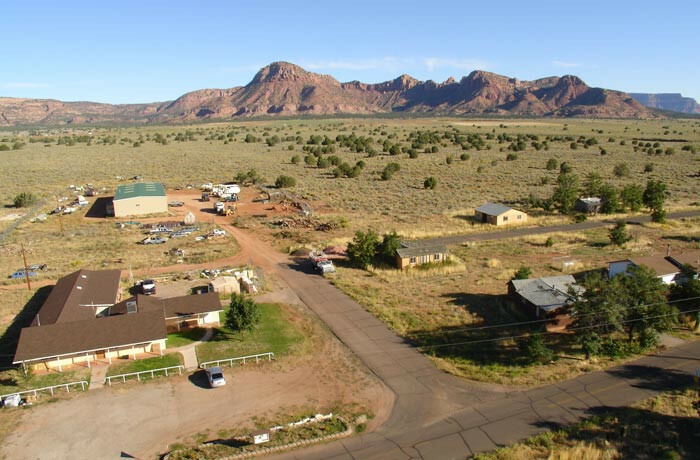 The Kaibab Paiute Indian Reservation is a community of approximately 250 residents located on the Arizona-Utah border about 50 miles north of the Grand Canyon. The Kaibab Paiute are one of ten member bands of the Southern Paiute tribe of Native Americans who live along the southern Great Basin and the San Juan and Colorado River watershed. Members of the Nation speak an Uto-Aztecan native language in addition to English. The reservation’s lands total 48,900 hectares (120,840 acres) and contain five tribal villages as well as Pipe Spring National Monument and the non-Indian community of Moccasin. The Kaibab Paiute have long held sacred the natural environment of their northern Arizona home including the dark skies over Thunder Mountain, a landform that dominates the reservation landscape and features prominently in Kaibab Paiute folklore. The new Dark Sky Community will be officially known as “Thunder Mountain Pootsee Nightsky.” The name recognizes the status of the Kaibab Band of Paiute Indians as a sovereign nation, the importance of Thunder Mountain and the night sky in Kaibab Paiute culture, and the unique language spoken by Southern Paiutes. The tribe takes every opportunity to share its night skies with visitors. Outreach and educational activities center on Pipe Springs National Monument, the site of most tourist visits to the reservation. Annual events at the Monument such as “Winsor Castle by Night” and “Dark Wings at Pipe Spring” highlight the importance of natural darkness to the cultural heritage and biological conservation efforts. Night sky viewing through a telescope is a regular feature at the “Dark Wings” gatherings. “We need to smile when we look up to the sky at night, not squint and frown and look down,” said a Kaibab Paiute tribal elder. IDA established the International Dark Sky Places conservation program in 2001 to recognize excellent stewardship of the night sky. Designations are based on stringent outdoor lighting standards and innovative community outreach. Since the program began, 10 Communities, 22 Parks and nine Reserves have received International Dark Sky designations.